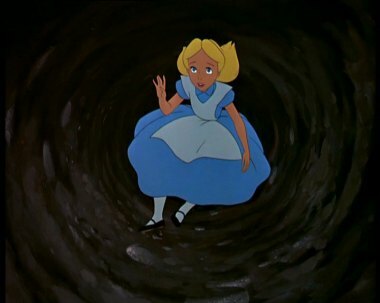 Like Alice in Wonderland, I’ve been deep underground in a surreal bout of editing. I can’t tell you how many times I have rewritten the ending of my novel. I think this count is number five. But each time it gets better and I think I might be there soon. Please let me be there soon. This novel has taken all my time, sucked every last second of my day that isn’t spent doing other things (you know, like my 40 hour a week job.) I’m obsessed, I’m determined, and I am so ready for this draft to be over. But that said, it keeps getting better every time I make changes. It tightens, streamlines, and propels the plot forward like a comet. What’s it about? The (working) title is The Abduction of Audrey Bettencourt and I style it as a Pride and Prejudice meets X-Men. My heroine, Jane Bell, the youngest lady’s maid in London has a peculiar talent. She can pick up any inanimate object–a glove, a shoe, a handkerchief, and she can sense who touched it last and what they were feeling at the time. Her employer, Audrey Bettencourt is the most highly sought after debutante of her season. When she is kidnapped from her own coming out ball it is up to Jane to follow the clues to bring her home safely. But the reasons of her kidnapping are much more complex and far reaching than Jane realizes and she finds herself on a chase across the Continent to bring Audrey home. I have fallen down the rabbit hole of editing. I might be able to climb my way back up soon. There are only 30 pages left in my manuscript, but it is the big finale and it must be as explosive, exciting and perfect as I can make it. The process of the second draft has been so protracted that I am losing patience with myself, although I am so close. Just a few more days work and I feel I will be there. If only I didn’t have this pesky day job taking up all my time and energy I would have been done weeks ago. But eating and having shelter are important too, I guess. I will come out of this someday. And when I do I will have a polished novel with a kickass heroine and a twisty plot with a big bang ending. Stay tuned. You are the real deal, Anna–a real writer whose characters enthrall me. I am so looking forward to reading the 2nd draft! Hang in there, I know it will all work out fantastically!